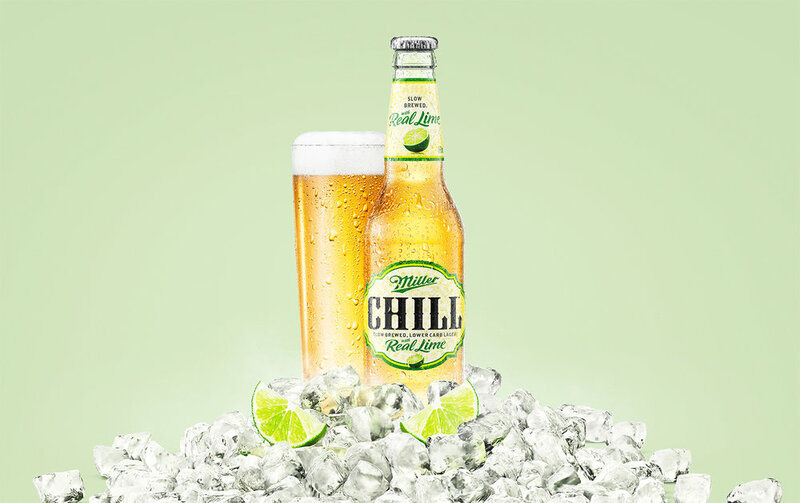 This recent project for Miller Chill employed more than a few of our CGI tricks and careful use of photography to obtain the perfect blend of refreshment and 'chill'. Our system to create 3d spritz in-house was redeveloped for a more natural look. Additional simulations were also carried out to form the icy island surrounding the virtual bottle and schooner.